Today we’re moaning about one topic a lot, and we might even be boring ourselves with it, but we can’t help wondering where Glenn Middleton would be today had Steven Gerrard played him more and not bothered developing Liverpool’s Ryan Kent for them instead. Middleton, as our very own player, does appear to have been completely forgotten by management and fans in the past half a year, and despite the fact we would of course concede he’s raw, his total exile from the first team for the lion’s share of the season does make us wonder if we wasted our time on Kent and should have tried to give the ex-Norwich kid more minutes. Rangers will lose Kent this summer because we’re not paying that kind of money for one player who clearly isn’t value for it, but instead of an entire season of Kent with his handful of stellar displays, couldn’t Glenn Middleton have played a bigger role, been coached into the first team fully and been ready for a serious run in the team for next season? Instead this young starlet, having been promoted to the first team amidst much fanfare last year, has found his chances next-to-nil since. Meanwhile Kent, Liverpool’s player, had the left all to himself (when fit) and despite the fact he did obviously overall have a decent season (with a handful of miraculous displays) would it not have served Rangers better in the long term to have developed our own player? Don’t forget just how good Middleton was last autumn – he made Kent look quite average, and while we pointed out some weaknesses in the youngster’s game, he looked to have all the potential in the world and even managed a superb through ball for Barisic’s assist against Villarreal. This is a lad who, having turned 19 at the start of the year, must be wondering why he was promoted if he wasn’t going to play. Indeed, his only first team appearances this year were two sub appearances v St Johnstone and Cowdenbeath while Kent claimed a monopoly on that left berth. Would we be singing from a different hymn sheet were we to be signing Kent permanently? Absolutely – welcome to the harsh reality of football though, where we have the wisdom of hindsight, and we’re not employed by the club and become accountable for our actions and choices. Hindsight now tells us we wasted a year on Ryan Kent who is now overpriced and will profit Liverpool, where we could have given Glenn Middleton much more of a chance to develop instead. To be fair to Gerrard, Rangers, Kent and Middleton, I think he has played something like 30 times this season, which is his breakthrough season. Agreed he hasn't played much at all this year, but to put it in context he has 28 appearances against 25 for Ross McCrorie (transfermarkt) although almost 200 minutes less, suggesting a few sub appearances. Hindsight is wonderful, but would Middleton have stood Lustig up and sent him out the ground to buy another ticket? Maybe, maybe not. I would see Middleton fighting Jones and Murphy for a jersey next season. He has done pretty good for a first season. 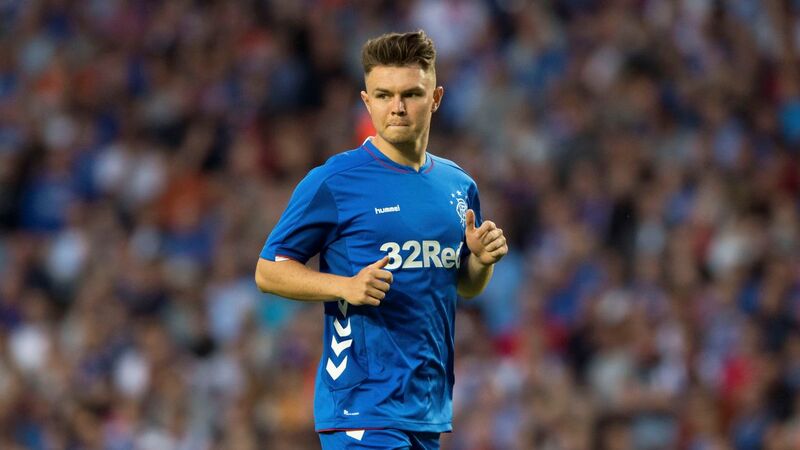 His target next season has to be to increase his minutes and games, which won't be that easy.There will always be competition at Ibrox, he needs to accept that, face it and beat it. SG is the man on the training ground, so I have to trust his judgement. Although i trust our management team, i fear it's the same old story at our club younger players seem to lose their way and seldom get a run out in the first team and eventually move on. Ok some may not be up to it but when you look at some of the players we have signed at a big cost to the club and failed big style it makes you think why some have not been given more minutes with the first team, the problem also at Rangers is unless we are winning from game to game it does not give the manager that space to bring younger players in. Coming through as a youngster at Rangers is a hard way to learn your trade. The pressure on you to succeed is huge and especially for a winger who takes players on the moans and groans from the stands when you make a mistake can floor a young player. I was really excited by Middleton at the start of the season but his form did dip and the opposition were starting to take more notice and were keeping him quiet. I don't particularly think he should have started more games but I have been a bit disappointed he's not been used as a sub more often. But to be fair to the manager we've not been that comfortable in games and been 2 or 3 goals up to give youngsters minutes with less pressure on them.